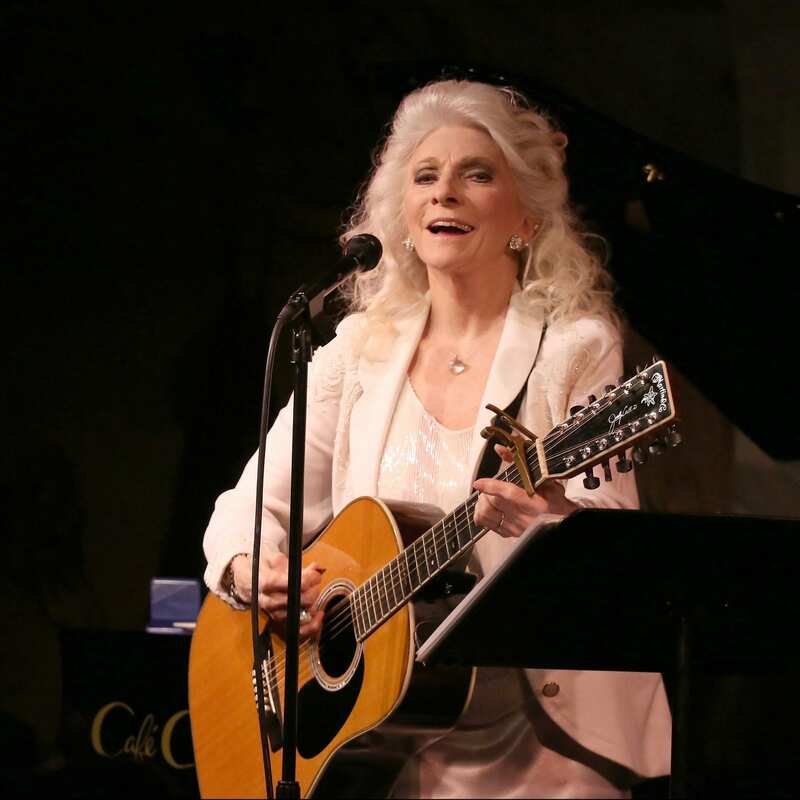 When Judy Collins takes the stage at the Café Carlyle, joined by her musical director, Russell Walden on piano and vocals, she says, You all look wonderful. How are you? It is a small gesture, but reflective of this artist. She cares about us because she has gifts to give and wants to be certain we are ready to receive. She slides easily into her music, because these songs, almost all, are old friends. But this is not a tired hauling out of the same old same old. Collins sings as if for the first time. Each phrase is a rediscovery, and so the stories, even after 50 years, are fresh. We hear them anew. Collins has been doing this, the second oldest profession in the world, for 56 years. And it is a privilege. 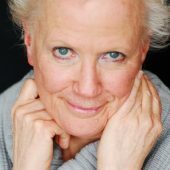 She talks of her past – rubbing elbows with Bob Dylan, Joan Baez, Leonard Cohen, and Steven Stills and Stephen Sondheim – just to mention a few. She sprinkles stories between her songs as the mood suits her. And then there is that voice. That voice. That voice. I don’t know what Collins is doing to keep her chords spruced up, but whatever it is she could bottle it. Her voice has a span of several octaves and is both silk and steel. I only have one Judy Collins album – Colors of the Day: The Best of Judy Collins. I listen to it several times a month. I have the phrases and the notes all mapped out. Listening to Collins sing these songs 45 years later it is like listening to a flower blossom. She soars into new territory. She has new elements of color and daring. Each song takes its own path. She allows them their freedom to such a degree that it almost sounds as though the songs are leading her. Collins is a gracious performer who gently invites us to sing with her when she senses we cannot hold back any longer. She brings us to stillness and tears with My Father – all the more meaningful after a few anecdotes. The segue into Sons Of… (Jacques Brel) is a brilliant coupling. She steps into Kern and Hammerstein with All The Things You Are from a 1939 musical, Very Warm For May, which was one of the first shows Stephen Sondheim ever saw. He was 9 years old. 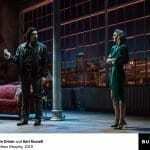 And of course, of course, it changed his life in the moment a feather duster was swished across a piano on stage. This leads us into No One Is Alone that she pairs with Being Alive. Another brilliant choice. Collins eavesdropped on Bob Dylan while he wrote Mr. Tambourine Man one long night in Woodstock. Arlo Guthrie opened for her when he was 13. Joan Rivers told her stories. She wrote her first song, Since You Asked, at the suggestion of Leonard Cohen. But the past is not where she lives. She is on terra firma in the present. The past is her foundation. The present is her home. The evening ends all too soon with Send In The Clowns, In My Life and Amazing Grace. Lyrical, sentimental and heart piercing. Judy Collins is exactly where she wants to be. She is in magnificent form vocally and personally. She is generous with her appreciation for her life as well as ours (She makes a point of thanking the staff at the Carlyle as well as touting Hamilton The Musical several times over). Judy Collins pulls you in with her voice, that voice, but then slips her hand into yours and leads you to a garden you didn’t know was around the bend. There, your visit with her is transformed into pure magic. She is unyielding in her pursuit of that magic. She knows it is the source of life. Judy Collins is a wizard of the highest order. Cafe Carlyle welcomes back the legendary singer-songwriter for a two-week solo engagement, May 5-16. Performances will take place Tuesday – Saturday at 8:45pm (no show on Saturday, May 9). Reservations made by phone at 212.744.1600 are $110 ($160 for premium seating, $65 for bar seating) Tuesday – Thursday; and $125 ($175 for premium seating, $75 for bar seating) on Friday and Saturday. Reservations made online at www.ticketweb.com are $120 ($175 for premium seating) Tuesday – Thursday; and $135 ($190 for premium seating) on Friday and Saturday. Cafe Carlyle is located in The Carlyle, A Rosewood Hotel (35 East 76th Street, at Madison Avenue). For more information, visit Judy Collins‘ official web site.